path difference fixed at different values. 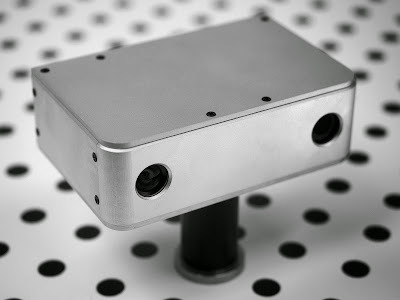 "FrinGOe uses innovative crystal technology to create a low cost 2D array of Mach Zehnder Interferometers and patented optical configuration to map the array onto the camera sensor. This allows an all-passive and compact optical add-on (as small as 4mm by 4mm by 2mm) that can be mounted onto any imaging platforms such as a mobile phone camera, Raspberry Pi camera or other OEM devices." One of the prototypes of the FT spectrometer has a spectral resolution of ~1 nm @ 400nm wavelength. 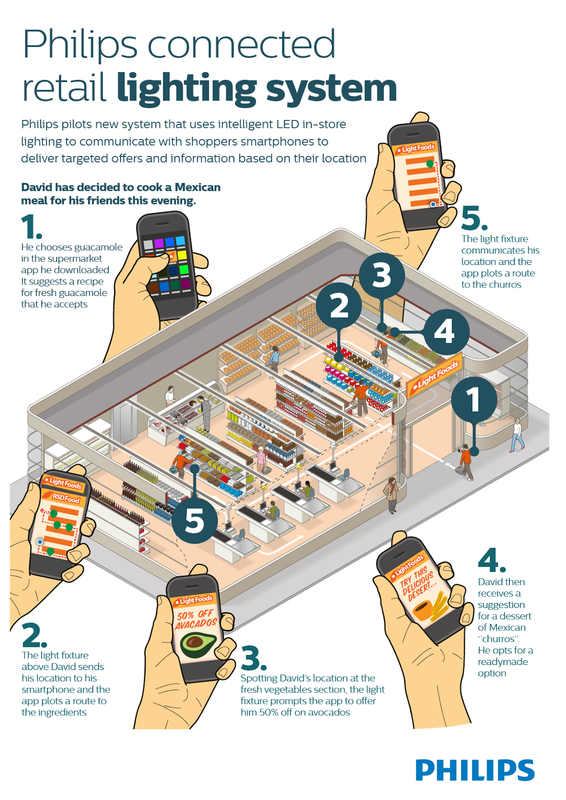 Electronics360: Carrefour SA, the largest retailer in Europe, is experimenting with visible light communications, becoming the first major retailer to install Philips’ connected lighting system with LED-based indoor positioning at its newly refurbished supermarket in Lille, France. The Carrefour news comes about a month after it was reported that U.S. retailer Target will use indoor positioning, widely believed to be VLC-based, to power its in-store app to help customers navigate its stores. The Carrefour supermarket system has 800 LED fixtures that use Philips VLC technology to transmit location. Philips software and cloud-based location database are integrated into Carrefour’s mobile app. PRNewswire: Omnivision reports quarterly results for its fiscal quarter ended on April 30, 2015. Revenues for the fiscal year ended April 30, 2015 were $1.4 billion, as compared to $1.5 billion in fiscal 2014. GAAP net income for fiscal 2015 was $93.4 million, as compared to $95.0 million a year ago. Revenues for the last quarter were $285.9 million, as compared to $292.3 million in the previous quarter, and $331.0 million a year ago. GAAP net income in the last quarter was $6.0 million, as compared to net income of $14.0 million in the previous quarter, and $15.1 million a year ago. GAAP gross margin for the last quarter was 22.4%, as compared to 22.1% for the previous quarter and 20.1% a year ago. The Company ended the period with cash, cash equivalents and short-term investments totaling $524.2 million, an increase of $11.4 million from the previous quarter. Based on current trends, the Company expects revenues for the next quarter will be in the range of $310 million to $340 million. SeekingAlpha publishes a trascript of Omnivision's earnings call. There was no Q&A session for some reason. Shaw Hong, Chairman and CEO, says on the acquisition news: "by partnering with the consortium and operating as a private company, we will have more flexibility to innovate and develop new solutions for our customers, which will benefit our employees, customers and business partners. We expect the transaction will close within the next nine to 12 months. As of today, we have not obtained all the necessary approval, nor have we met the closing conditions. As such, there's no assurance that the proposed acquisition by the consortium will close." Now it becomes fairly similar to Corephotonics and Linx Imaging proposals. Delaware Intellectual Property Litigation publishes a detailed document on trial where Intellectual Ventures accuses Canon in patent infringement, including two image sensor patents: US6,221,686 "Method of making a semiconductor image sensor" and US6,023,081 "Semiconductor image sensor." Canon has lost the battle, in spite of Eric Fossum and Albert Theuwissen trying to defend it, see pp. 11-19 in the document. gestigon announces that they provide the gesture control software used in Audi’s booth at the CES ASIA in Shanghai. The first result of this cooperation is to, initially, provide an unique user experience for the rear seat passengers of Audi’s luxury car models enabling the user interaction with the multimedia device in front of them. 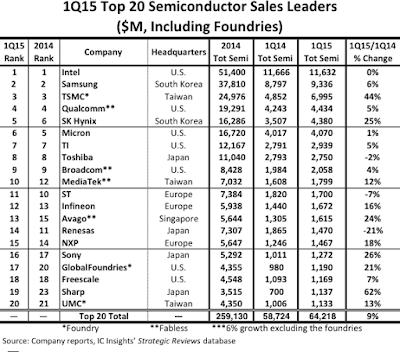 IC Insights posts its updated list of top 20 semiconductor companies. This time, Sharp has entered the list as #19. 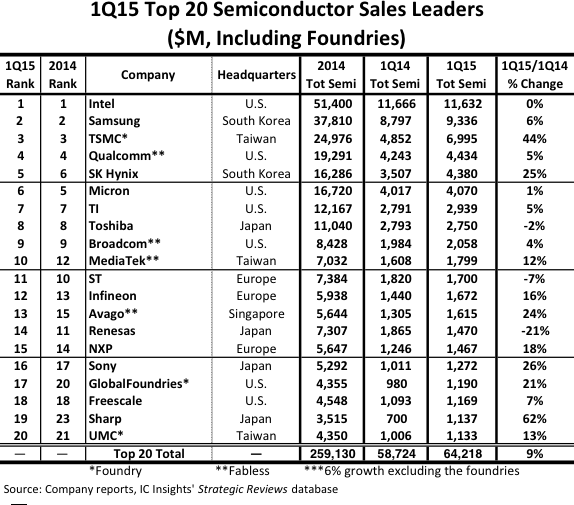 IC Insight writes: "Although Sharp as a whole is having a difficult time, its semiconductor group, which represents only about 14% of the company’s corporate sales, posted a whopping 62% growth rate (an 88% increase in yen), the best 1Q15 sales increase of any top-20 semiconductor supplier. 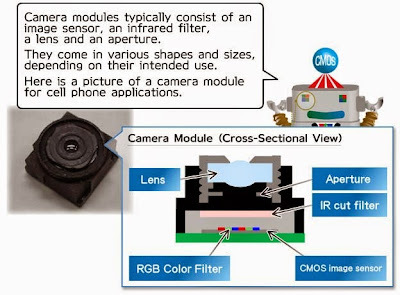 This sales surge was almost entirely due to the company’s success in the CMOS image sensor market." The company notes: "Sharp has the leading share in the industry for smartphone camera devices, but since specific customers weight a large proportion of our business, we will aggressively work to expand our sales to new customers, and target 3 times the net sales of Fiscal 2014 by Fiscal 2017." "One of the greatest concerns regarding China-backed Hua Capital Management Co. Ltd.’s proposed acquisition of OmniVision Technologies Inc. is that it would give OmniVision an unfair advantage over other image-sensor vendors, with Chinese firms favoring Omnivision products over others. But, according to IHS, this scenario is unlikely to play out. ...the vast majority of OmniVision’s current business is already in China. O’Rourke says about 75% of OmniVision’s 2014 revenues came from China-based companies. ...the funding groups bought OmniVision mainly for a “capital operation” and will have the company listed in the China stock market to gain a sizable return. 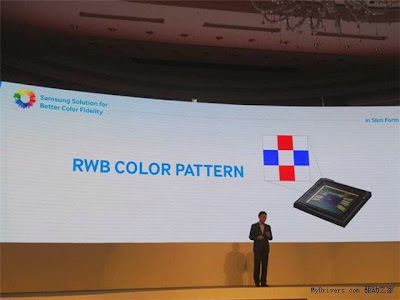 Wang says he believes OmniVision will invest heavily in the near term—including spending more on R&D to develop high-end products—in order to help the company catch up with image sensor heavyweights Sony and Samsung." PRNewswire: Pelican Imaging announces that Mark Fulks has joined the company as COO to lead engineering and product development for Pelican's depth-sensing array solutions. Prior to joining Pelican, Fulks led Nokia's product and engineering teams that created Nokia's augmented reality product, Nokia City Lens, and led the core development teams at Sun Microsystems for Java ME (J2ME). He began his career as an embedded systems software engineer, after earning his Bachelor's degree in Computer Science with a minor in Physics from Sonoma State University. Fulks holds several patents related to augmented reality interfaces and displays. "Pelican Imaging is uniquely positioned to achieve success across multiple growth markets. I'm very excited to join as COO, leading the engineering and product development teams to bring this disruptive 3D imaging technology to consumers," said Fulks. PRNewswire: OmniVision and Silicon Line GmbH announced a collaboration to bring high-speed image and video data transfer technology to applications that are noise-sensitive and that require longer, thinner and lighter cables. 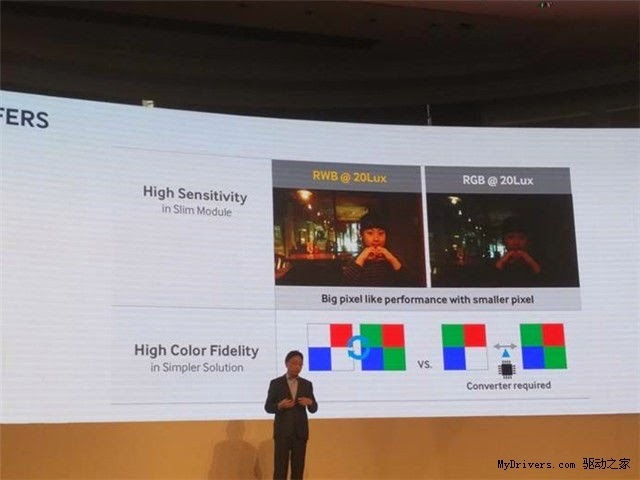 This collaboration will focus on 1080p30 video transfer over 2-lane 1Gbps MIPI for OmniVision's OV5693 sensor, as well as other MIPI D-PHY 1.1, 1.2, 2.0 and MIPI C-PHY-based imaging solutions. 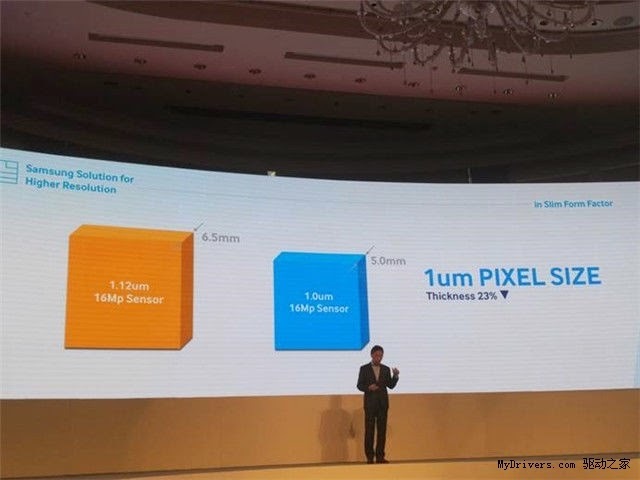 "We believe that Silicon Line's approach to high-speed data transfer, and the inherent benefits that its optical link technology brings to our mutual target markets, can help overcome many technical challenges faced by product engineers today," said Tehzeeb Gunja, senior marketing and business development manager at OmniVision. "The ability to affordably and power-efficiently transfer large amounts of uncompressed video data over long distances carries a tremendous potential for positive impact on a number of application areas." 3DInCites nominates OmniVision’s 23.8MP OV23850 PureCel stacked sensor for 3D Excellence Award. OV23850 "gives 3D manufacturing visibility across numerous application areas, including automotive, medical, mobile devices, and wearables." 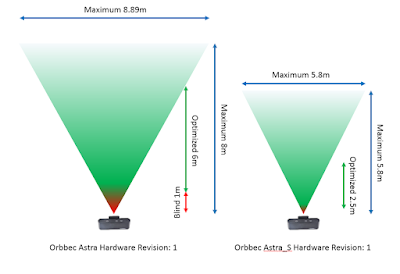 Orbbec comes up with a series of comparison videos against Primesense, Kinect-1 and Kinect-2 cameras. Thanks to HJ for the pointer. Boulder, CO-based Chiaro Technologies presents its 3D sensing technology based on patented Symbolic Light. 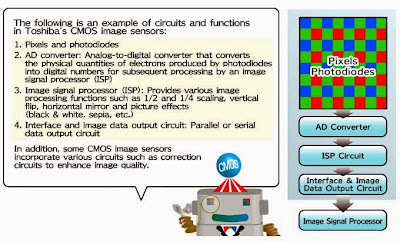 Chiaro's camera consists of a sensor head and a decoding API for either a PC host or an embedded system. The efficient 3D decoding improves frame-rate while leaving a room for application. Cloudburst is designed with machine vision in mind. Two coins and a machined part on a black-and-white checker pattern. Under low lights in a 12-bit image (a), specular reflections saturate the camera while the checker pattern remains dim. Typical 3D capture (b) misses regions of the 3D point cloud. Chiaro’s XDI-3D system with HDR (c) can capture 3D images of this scene, capturing everything from the black squares to the shiny surfaces of coins, all under regular ambient lighting conditions. Meanwhile, German Optassyst drives an ISO initiative "Fair Datasheet" to define a standard way to write datasheets for 3D depth cameras, so that customers can easily compare their performance and merits. The proposed ISO standard definitions mainly target machine vision and industrial 3D cameras. 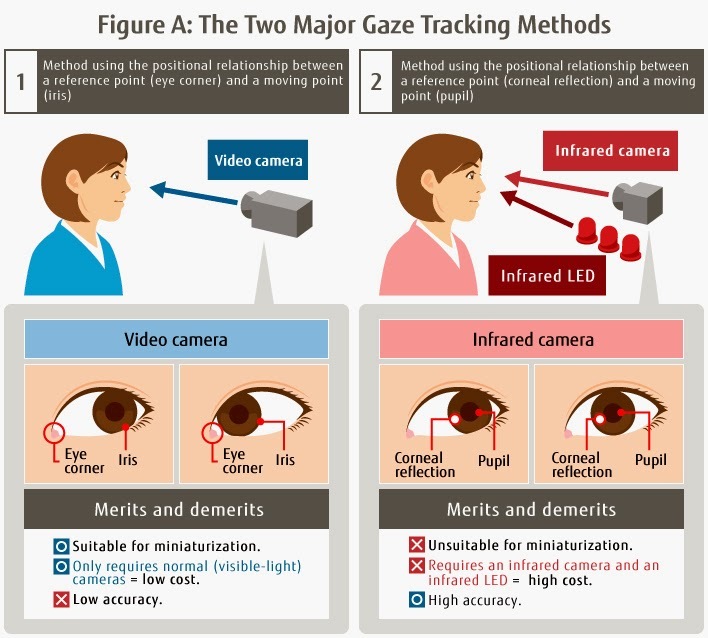 Fujitsu publishes few Youtube videos on its newly developed gaze tracking technology. The first one shows a short-range "compact tracker:"
GizmoChina: ViewSonic too announced its plans on iris recognition in smartphone, but it's not clear if it has reached the market yet. “We have managed to fool a commercial system with a print out down to an iris diameter of 75 pixels,” says security researcher Jan “Starbug” Krissler. “I did tests with different people and can say that an iris image with a diameter down to 75 pixel worked on our tests.” The print out had to have a resolution of 1200 dpi too, though it’s easy to find printers able to hit that specification today, and ideally at least 75 per cent of the iris was visible. Unlike the fingerprint attack, where it was necessary to create a proper clone, all that he needed in his iris recognition hacks was the print out, the researcher claims. “It’s nothing more. I punched a hole in the middle, but only for orientation. It’s not needed,” Starbug added. "Himax’s CMOS image sensors also experienced a down quarter since 4G smartphone adoption in China remained weak. The lack of smartphone replacement demand hurt the shipments of Himax’s high end product offerings. 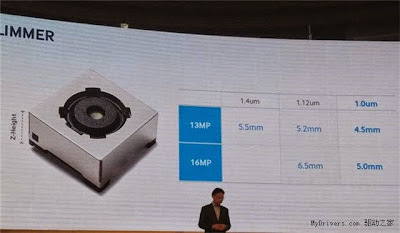 The Company is optimistic of the possibility of securing significant design-wins in the second half of the year with its 8-megapixel and 13-megapixel sensors." PRNewswire: CogniVue, which has licensed its APEX Image Cognition Processor (ICP) technology to Freescale, announced that its new APEX Processing Core - Opus - is at the center of the intense battle for ADAS market share as challengers to Mobileye, the current market share leader, line up to capture business for next-generation ADAS systems. Opus is said to have 10x performance increase over the current G2-APEX. "CogniVue has been anticipating this ADAS market showdown and we are ready to equip competitors to Mobileye with the performance and cost advantages they need to capture new ADAS opportunities," said Simon Morris, CEO of CogniVue. "We have the innovation, technology and engagement with dominant players in the automotive market and key SoC suppliers to be a key enabler of next-generation ADAS and autonomous driving." ST has held a 2015 Analyst Day today. The company says it's exploring options to cut losses at its Digital Product Group (DPG), a division that makes image sensors among other products. "This problem needs to be fixed and we will fix it," says CEO Carlo Bozotti (SeekingAlpha).